Few music festivals are as rich, profound, and joyous as the New Orleans Jazz & Heritage Festival, now entering its 50th year. With 50 tracks recorded live, Jazz Fest captures the festival’s ecstatic spontaneity, which defines the essence and vitality of American popular music. 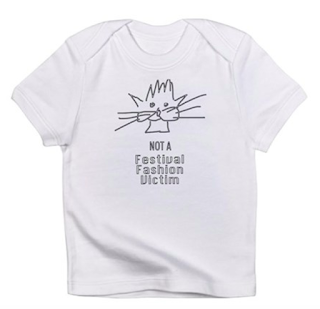 Ever since its inception a half century ago, Jazz Fest has exuberantly expressed the unique confluence in New Orleans of Native American, African, Caribbean, European, Hispanic, and Asian communities. With essays and annotations by Keith Spera, Karen Celestan, Robert Cataliotti, Jeff Place, Rachel Lyons, and Jon Pareles, plus photos spanning the festival’s history, this box set delivers the sights and sounds of being at Jazz Fest for those who have not yet been there, and rekindles memories for the hundreds of thousands who return to New Orleans year after year. The set includes 5 discs, over 300 minutes of music, and a beautifully designed 136-page book. Rolling Stone helped us to announce the album and they are currently streaming Trombone Shorty's "One Night Only (The March)". You can also pre-order the album and stream a sampler wherever you listen to music. Jazz Fest: The New Orleans Jazz & Heritage Festival was created by The New Orleans Jazz & Heritage Foundation, utilizing its archive and with the assistance of the Jazz & Heritage radio station WWOZ; the production was made possible through the generous support of The Helis Foundation. Pre-order your copy on Amazon. PetDeKat.com is a participant in the Amazon Services LLC Associates Program, an affiliate advertising program designed to provide a means for sites to earn advertising fees by advertising and linking to amazon.com. Smithsonian Folkways Recordings is the nonprofit record label of the Smithsonian Institution, the national museum of the United States. We are dedicated to supporting cultural diversity and increased understanding among peoples through the documentation, preservation, and dissemination of sound. We believe that musical and cultural diversity contributes to the vitality and quality of life throughout the world. Through the dissemination of audio recordings and educational materials we seek to strengthen people's engagement with their own cultural heritage and to enhance their awareness and appreciation of the cultural heritage of others. Smithsonian Folkways is part of the Smithsonian Center for Folklife and Cultural Heritage. Our mission is the legacy of Moses Asch, who founded Folkways Records in 1948 to document "people's music," spoken word, instruction, and sounds from around the world. The Smithsonian acquired Folkways from the Asch estate in 1987, and Smithsonian Folkways Recordings has continued the Folkways commitment to cultural diversity, education, increased understanding, and lively engagement with the world of sound. 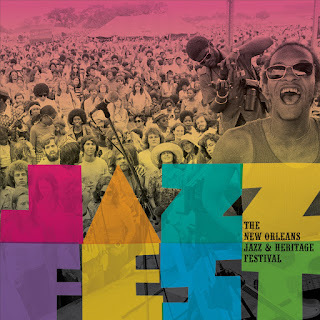 In 1970, the New Orleans Jazz & Heritage Foundation was set up to be the nonprofit owner of the New Orleans Jazz & Heritage Festival – Jazz Fest – with a mission to sow the seeds of our unique culture for generations to come.